Farnham Park, Slough, 9th Sept, 2017. 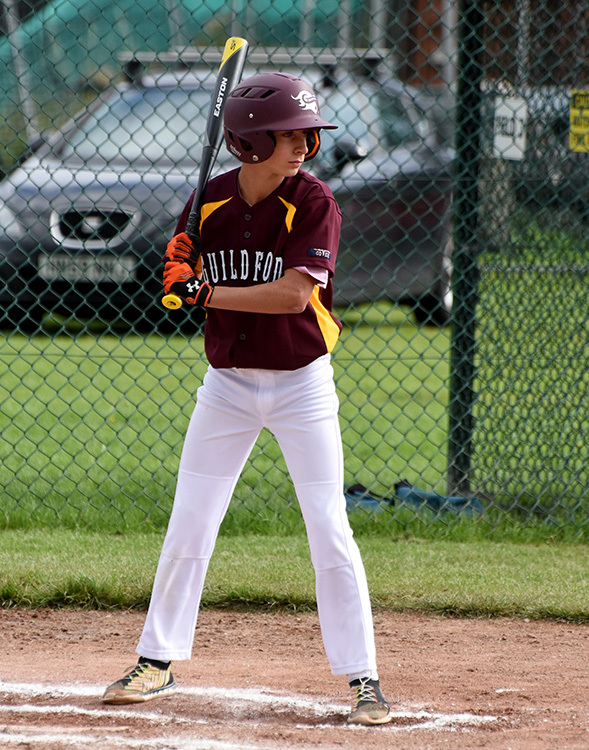 The Guildford U13 team, were edged out at the semi-final stage in a close fought game in the Youth National Baseball Championship’s this afternoon, against old foe Brighton, going down in a tight game 3-2. 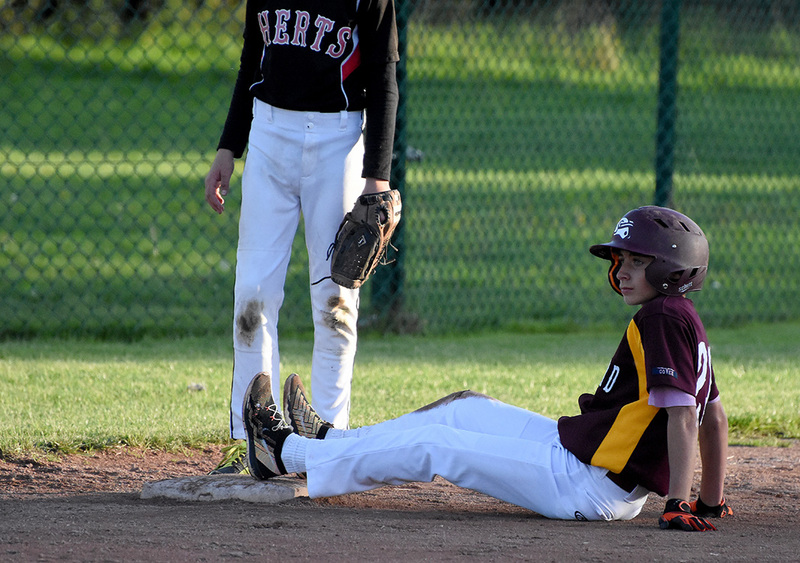 Although runs may have been hard to come by, the passion and determination showed by the team, was not. Even the changeable weather conditions, didn’t faze them, although ironically it would have been good if the rain early in the day had been there at the very end. 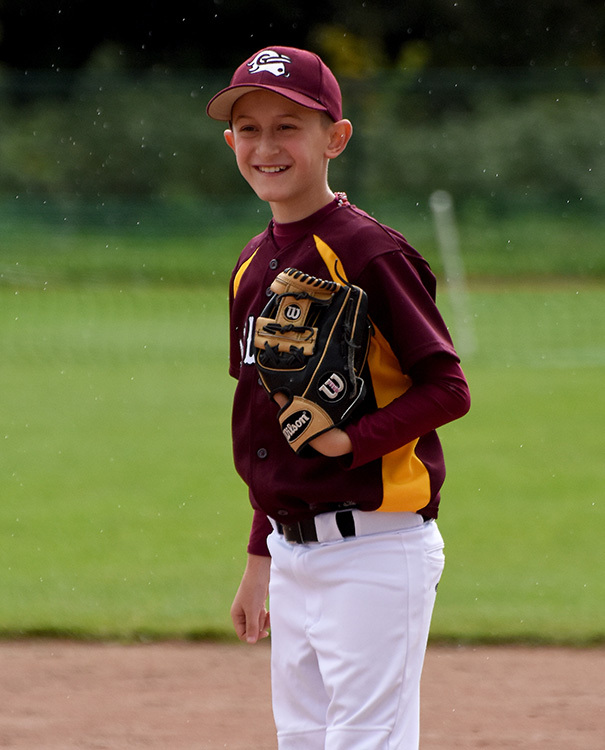 A quick 1-2-3 first inning meant Jack had to shut down Brighton in the bottom of the first, which he did, striking out all three. Early signs of it being a pitchers dual, continued into the second, where we were again unable to put runs on the board. 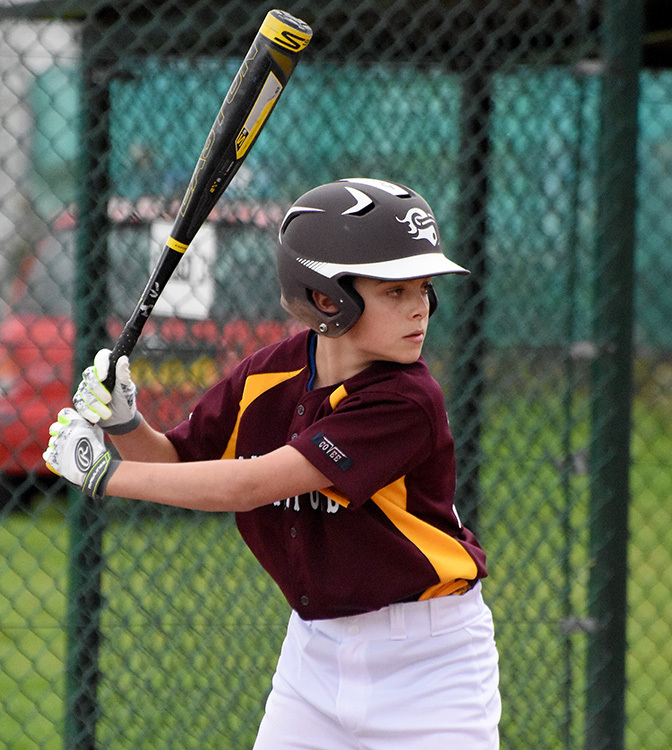 Brighton finally broke the deadlock on a dropped 3rd strike which gave them a runner, who was then able to come round to score with some heads up base running, despite every effort from Owen M, behind the plate. 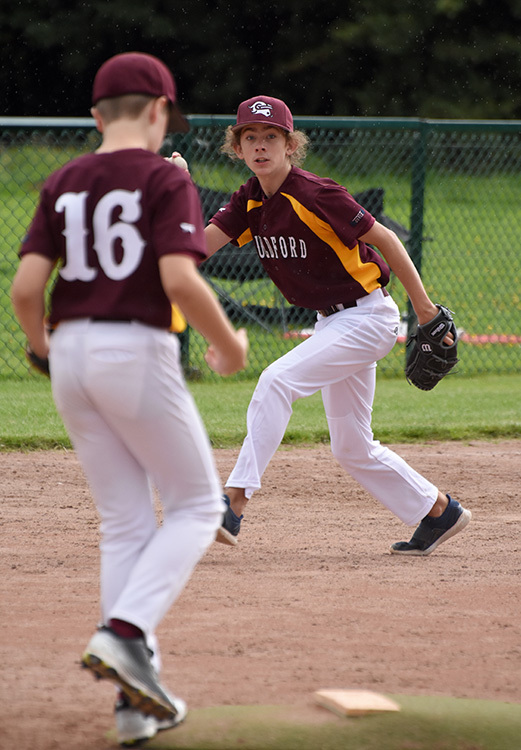 The first baserunners of the game for Guildford, came in the 3rd, as Owen M and Mathieu got aboard. 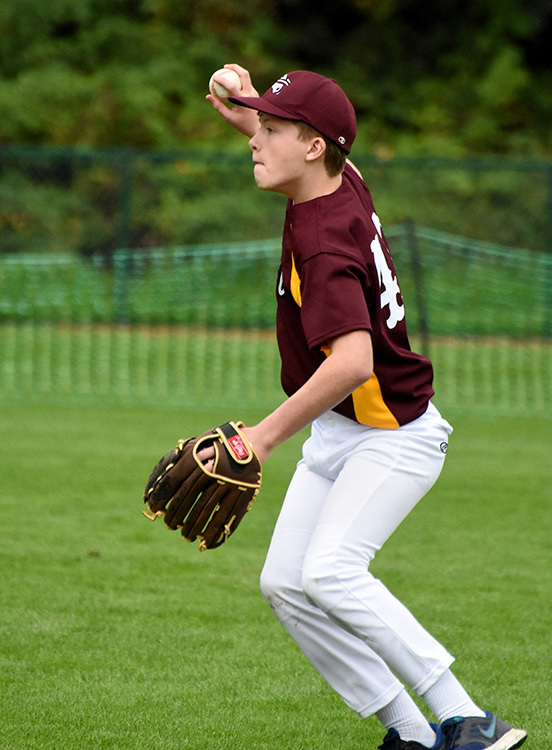 Fielders choices from both Oscar and Harry, plated Owen, with the tying run, and after shutting Brighton down in the home half of the inning, left the game tied at 1. The start of the 4th inning was delayed for 10 minutes due to thunder in the local area. 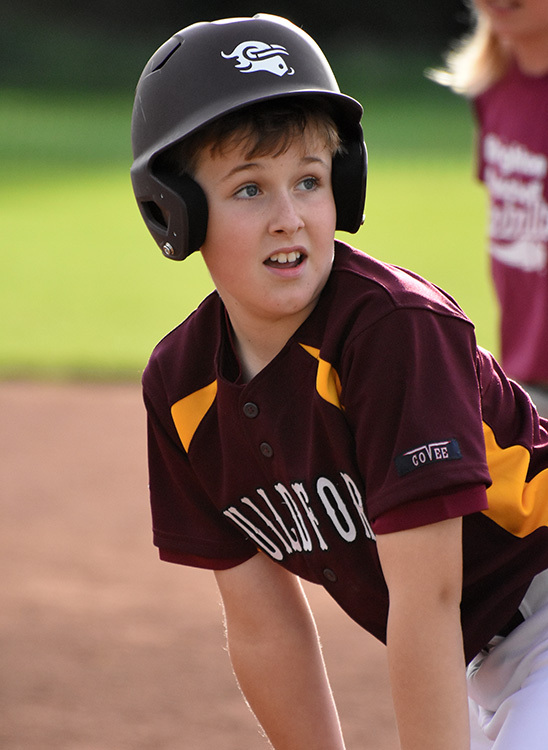 The next sharp crack was not from above, but from Aiden’s bat, as he drove one deep to CF, but the a great defensive catch, robbed him of likely triple. 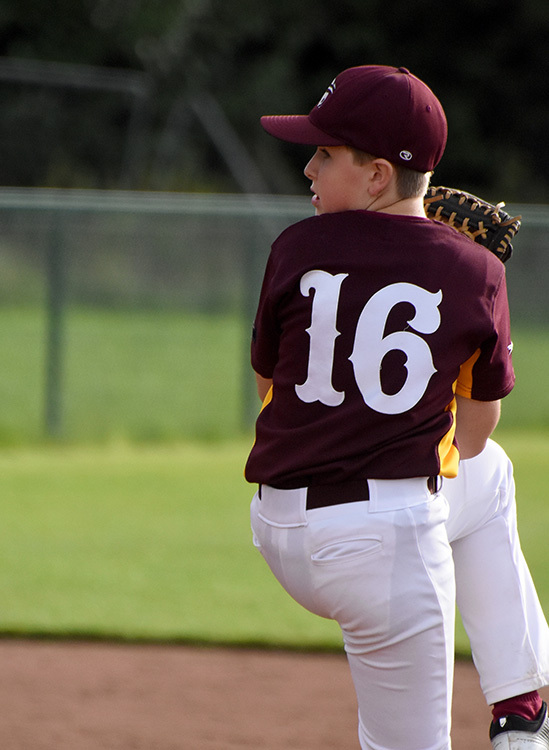 All the more galling, as Owen P then singled which would have scored Aiden with the go ahead run, but instead was left high and dry, after the final out of the inning. 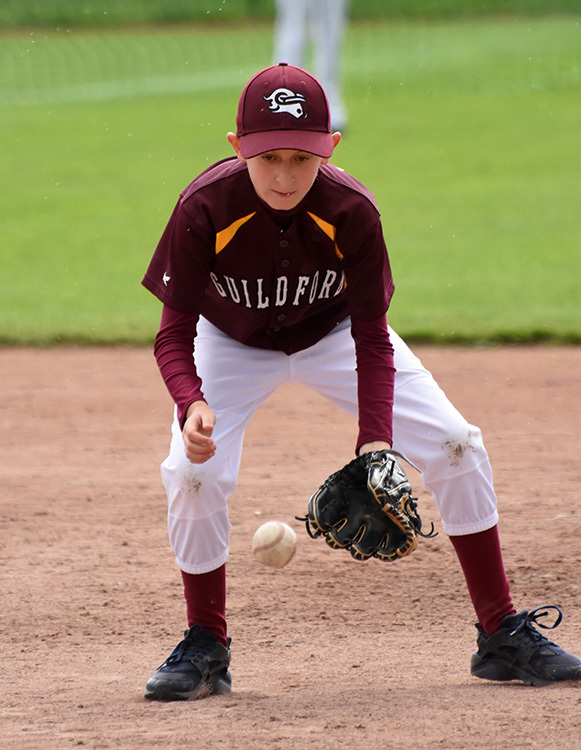 Some good at bats, working the count full, by Brighton in the bottom of the inning, allowed their first two to draw walks, and although Jack was able to strike out the next two, it wasn’t before the walks had come back to bite, as a couple of steals, and a passed ball did the damage. 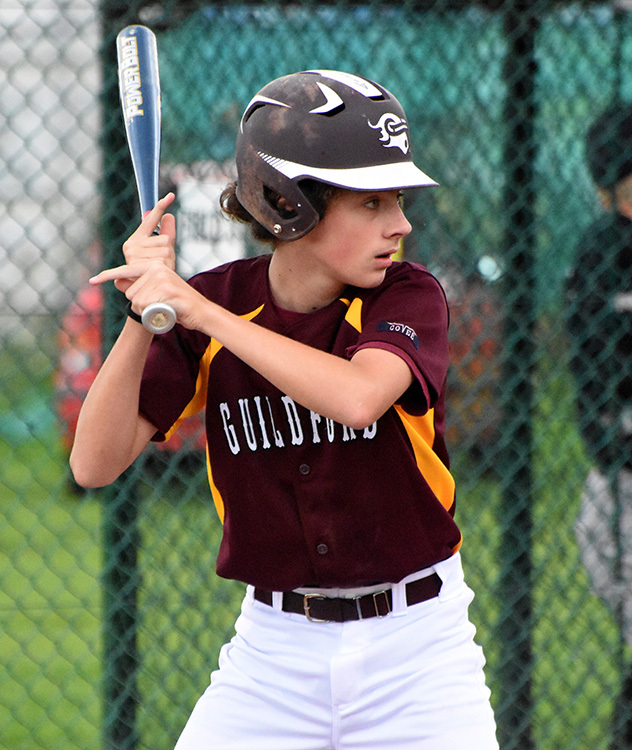 In the top of the fifth, Guildford came out with a focused determination. 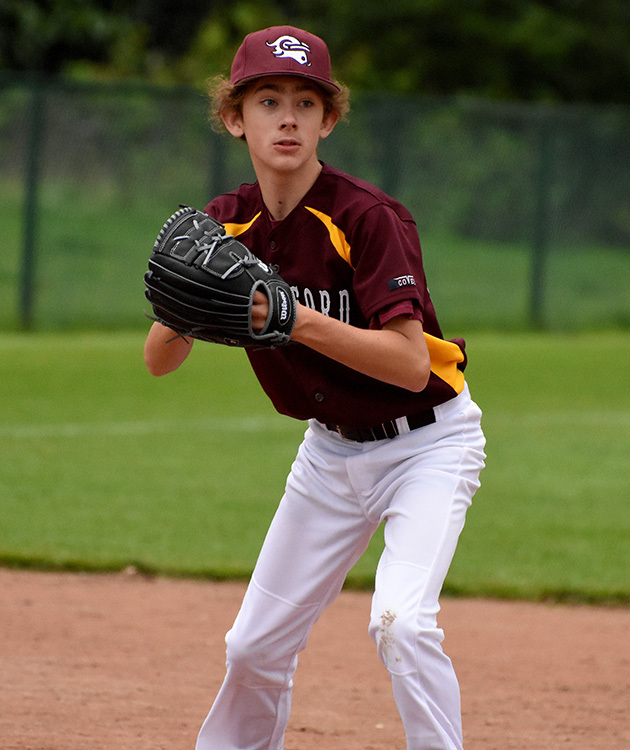 With a new pitcher on the mound for Brighton, Owen M walked after the first two had struck out, followed by Oscar, and both moved up on a wild pitch. 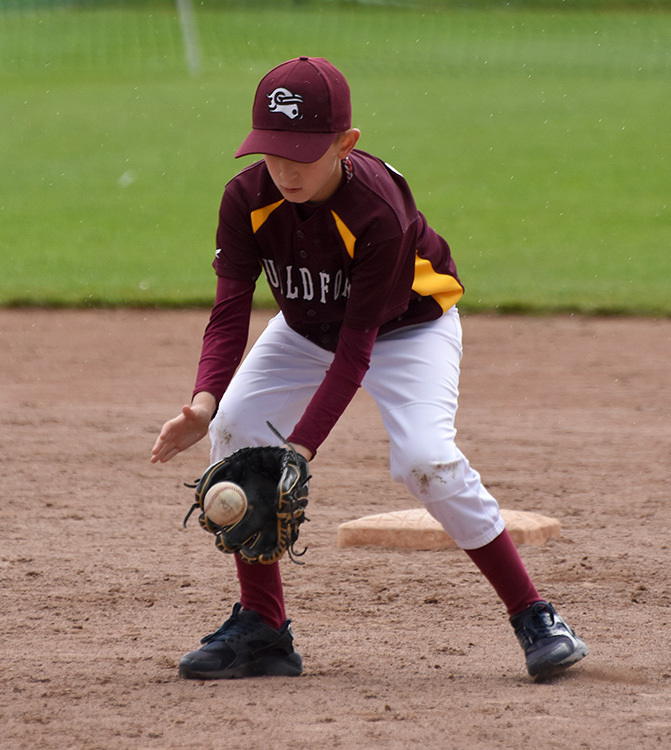 Harry then grounded to the shortstops back hand for what would have driven in a run on a difficult play, but unfortunately Oscar was caught between the bases, and tagged out before the run had crossed to end the inning. 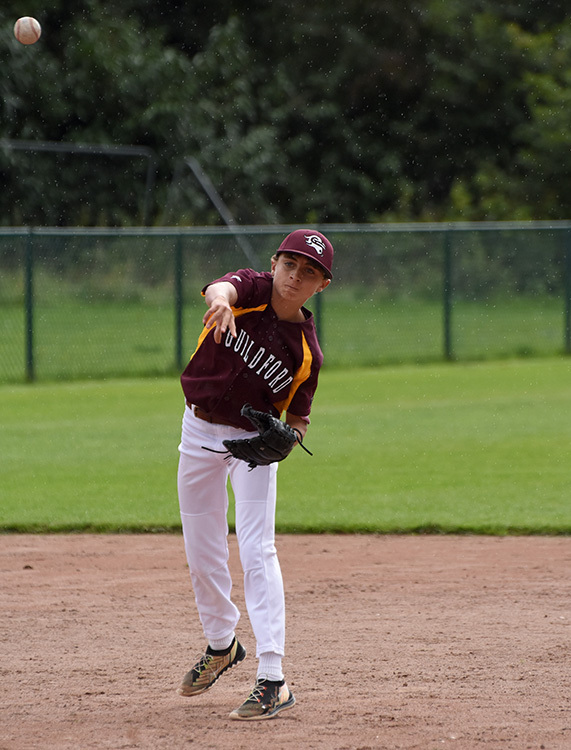 With Brighton hoping to pad their lead in the bottom of the 5th, Jack struck out the lead off hitter, and Aiden made a great play at SS to keep the Brighton batter to a single, which proved vital, as Owen M and Brad to nail him at second on the very next play. 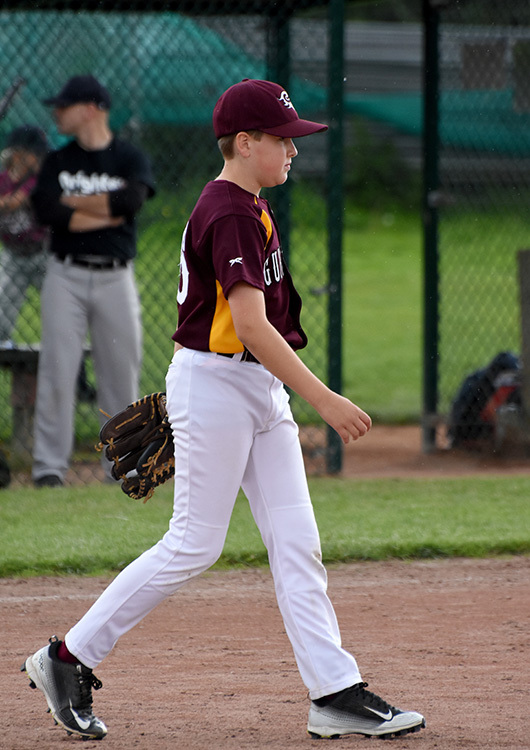 Oscar made amends for his earlier baserunning error, with a heads up play to nab the runner at third and end the inning. Guildford were adamant they were not going to let Brighton add to their score and they didn’t. 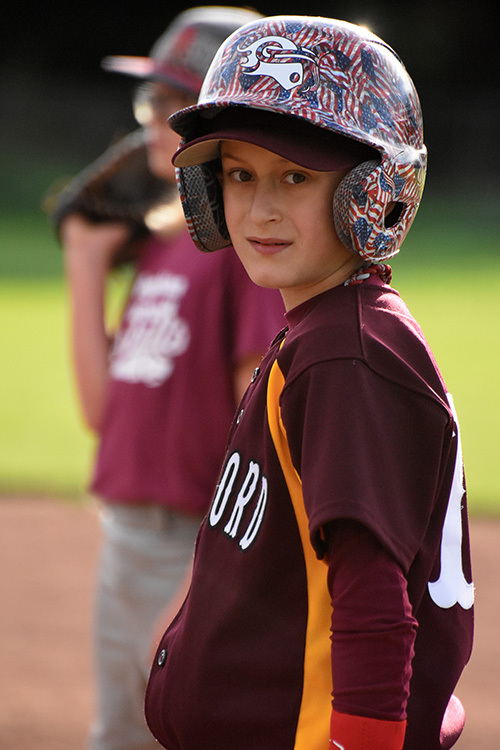 Jack struck out the first batter. 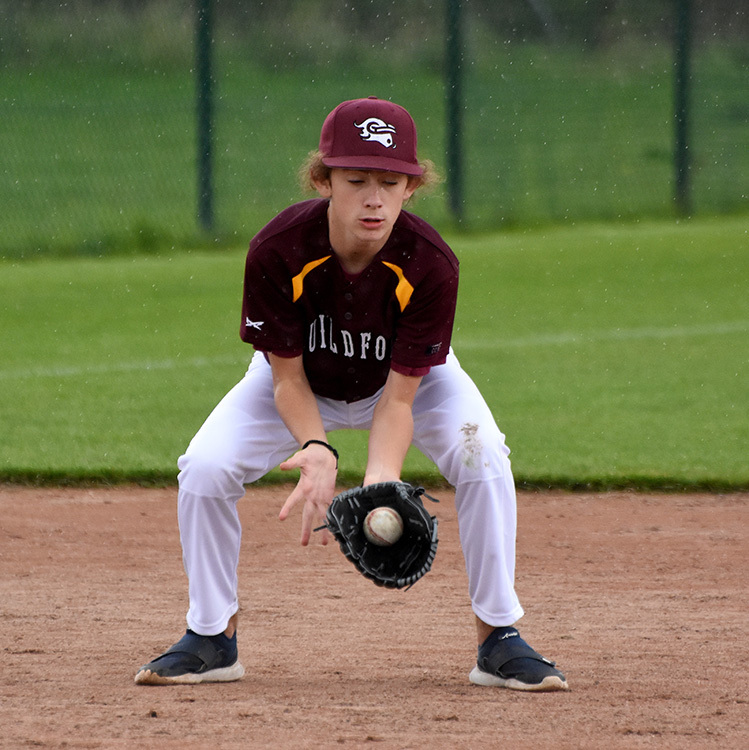 Guildford piled on the pressure with a hit to Aiden at short stop who threw to Owen P at first but the batter was safe. 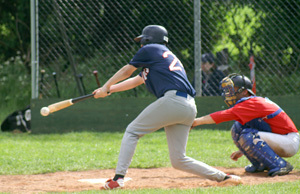 Owen M as catcher threw the next ball to Brad at second who tagged the runner securing our second out of the innings. 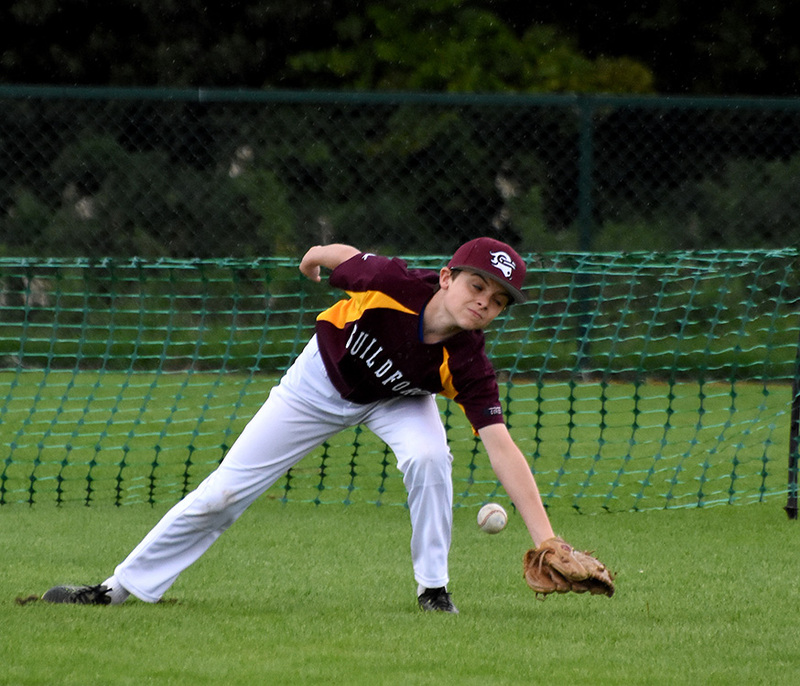 Owen M saw another fielding opportunity when he threw the ball to Oscar at third who tagged the batter as he over ran it and wasn’t on base leaving Guildford no choice but to score at least three runs in the final innings. 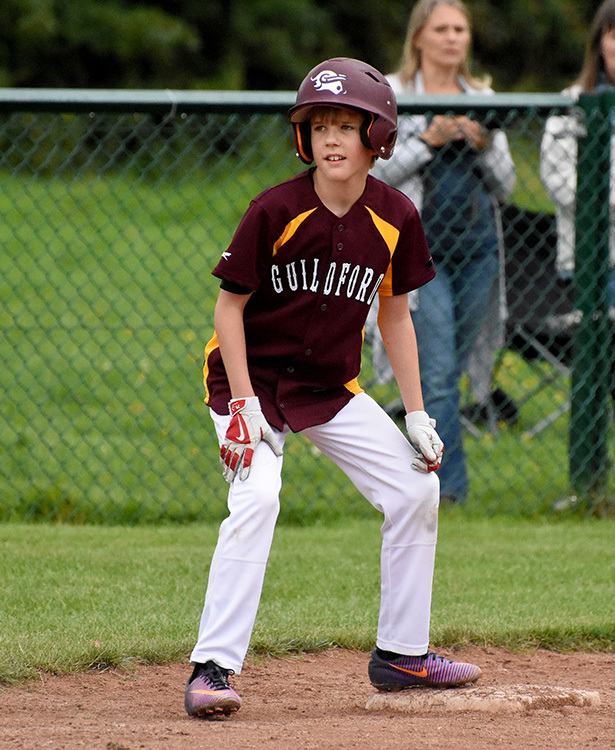 So with one opportunity left and 2 runs needed to tie, Guildford started off with a single from Jack who was able to score on Aiden’s triple. 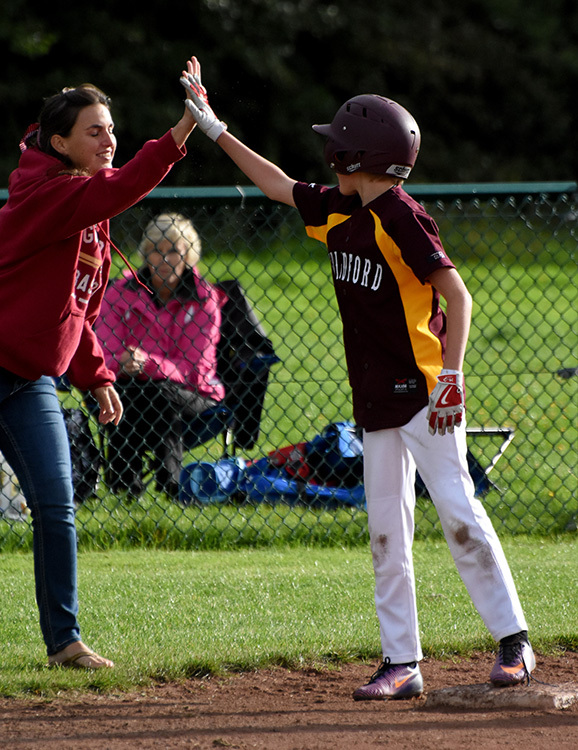 Alas Aiden in trying to stretch it to an inside the park HR, was tagged out at home. 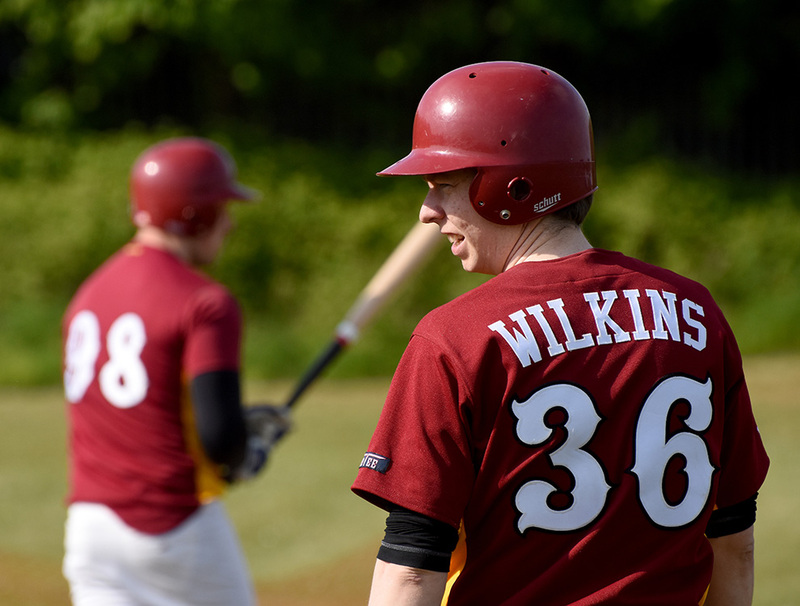 An Owen P hit and a walk for Brad had both the tying and go ahead runs on base, but Brighton held their nerve and retired the last two batters in order, with the just 60 ft separating them from at least having to bat again. A tight and very well-played game. 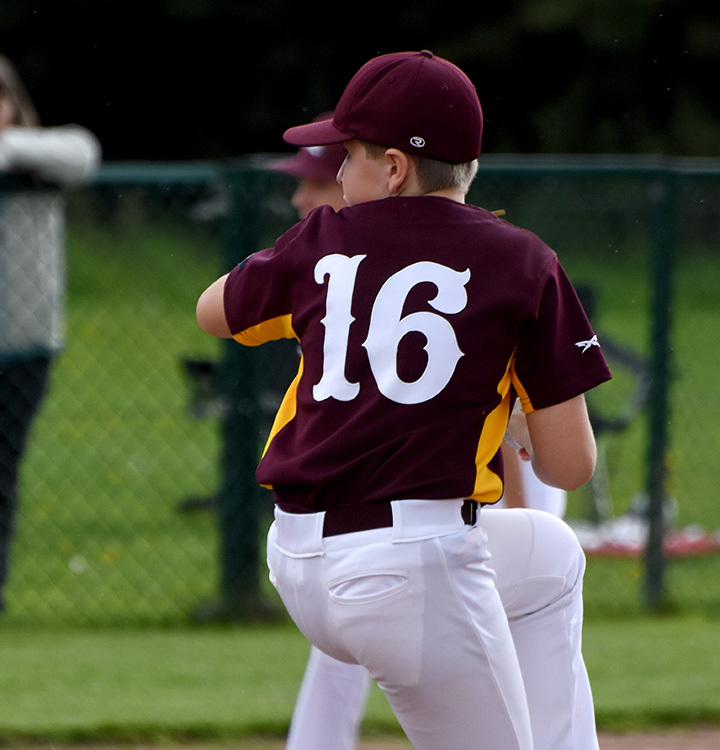 Excellent pitching from both sides, and in the end Brighton’s better defense, and more importantly, their heads up base running was the difference between the two. 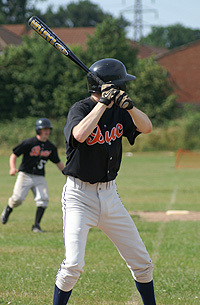 The resulting 3rd/4th place play-off against Herts, only made it as far as the top of the second inning, as the setting sun was going down exactly between the line of trees and in line with the second base, the mound and home plate. 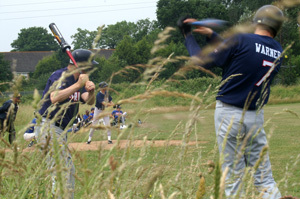 After both the Herts catcher and the umpire took painful blows, it was decided it was too unsafe to play further, so unfortunately the game was called with a no result being the outcome. 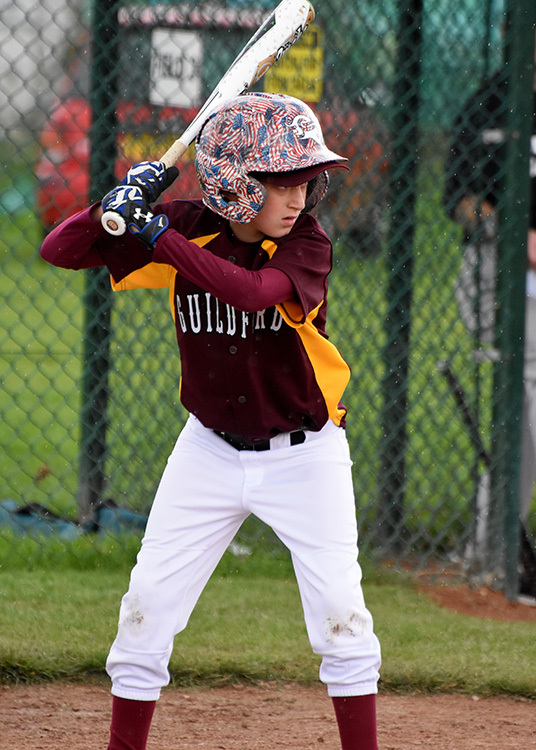 On the other diamond, Brighton comfortably took the title with 9-2 win against Southampton, leaving Guildford wondering what might have been. But overall a great season, and although this group will see some new faces next year and lose others to the age group above, they can all be proud of their performances this year.